Today we are introducing Milan and its’ Fashion Houses. I LOVE Milan. I had the chance to visit the city in May this year and I was so excited to get to go there. When you come to the city, you can “smell” fashion and style in the air, drink it from the water, and breath it in deep. If you ever find a city that is totally “fashion”, it would be Milan. The birthplace of brands like Fendi, Gucci and Dolce & Gabbana. Unfortunately, some of us cannot visit Milan every week, which truly is a pity. BUT, to be able to get your piece of the Style in Milan, you can check out the selection that Farfetch has available from Milan’s Design houses. Below the beautiful graph provided by Farfetch, I have selected my top pics from the Fashion Houses. What do you think? What would you pick? 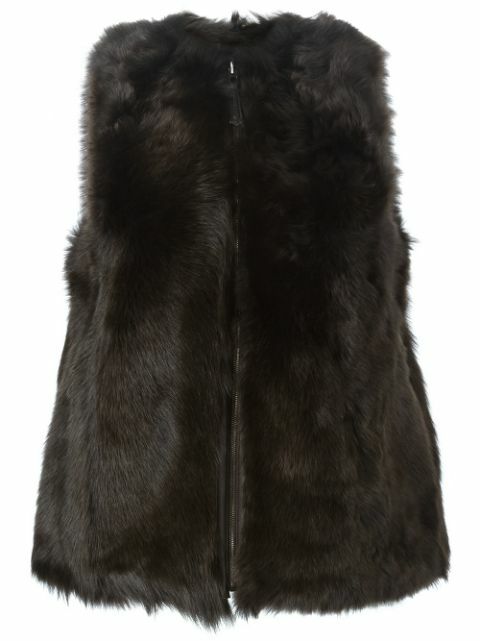 Earlier we had a post about Shearling Coats and Fendi has a number of beautiful and luxurious Shearling Fur vests, and my personal pick is this black one. It looks as luxurious as Milan itself and I think it would keep me warm during the winter months. There is something Scandinavian in Fausto Puglisi dresses. 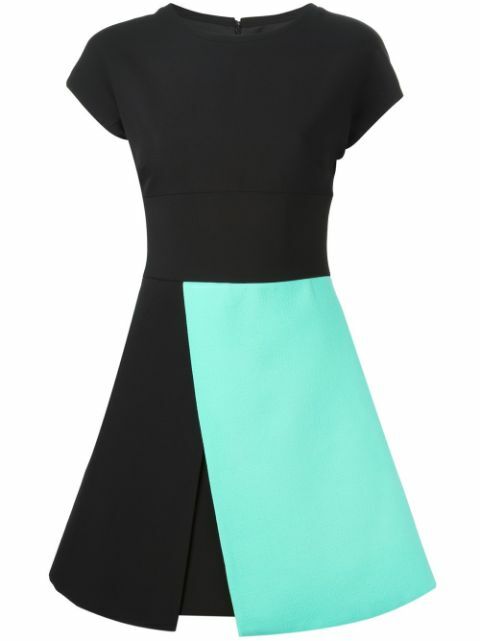 I love how simple and well cut the dresses are, and the color block dresses are especially to my liking. I would wear this turquoise dress on a day when I want to feel fresh and stylish. This bag is calling to me. I love the black lace over the leather. It gives a very feminine and edgy vibe, and I would love to style this with denim jeans and a button up shirt. 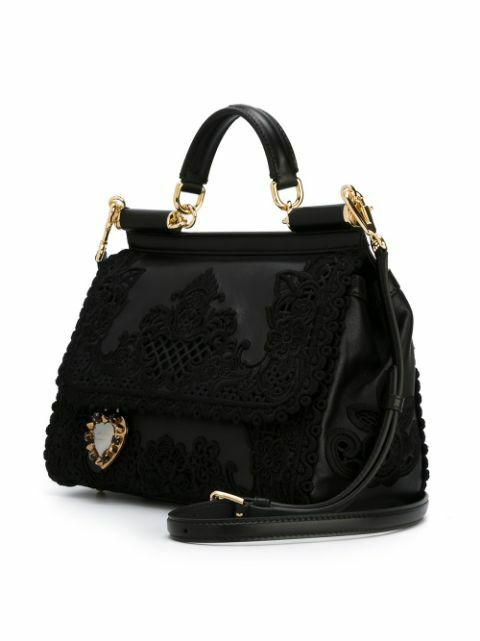 Dolce & Gabbana bags are fun. They are suitable for any occasion, quirky or business need. 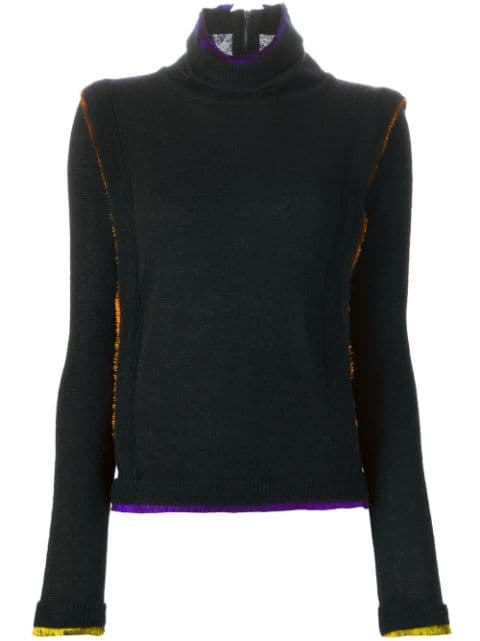 I am always looking for sweaters that have more to say than just “basic” and Marco de Vincenzo has the kinds of sweaters I would fall for. His style is edgy and young, and again, it has something minimalist about it, while still being very graphic.